Back in January at the beginning this series on 18th century German settlers in Pennsylvania, I covered Conrad Weiser, one of the most remarkable and influential figures in colonial history. Today we’re going to take a look at another remarkable man who had considerable impact on the history of both Pennsylvania and this country, his daughter Anna Maria’s husband, Heinrich Melchior Mühlenberg. Known today by his anglicized name, Henry Melchior Muhlenberg, he’s considered to be the patriarch of the Lutheran Church in the United States. 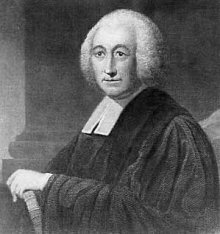 Muhlenberg was born on September 6, 1711, into the devout Lutheran family of shoemaker Nicolaus Melchior Mühlenberg and Anna Maria Kleinschmid. He grew up in the German Electorate of Brunswick-Lüneburg, also known as Hanover, and attended a classical school, at which he was taught Latin. After his father’s death, a local minister taught him to play the organ, developing in him a lasting love of music. Church in Trappe, PA, where Muhlenberg served. Founded after 1742, not in 1712 as labeled. Family friends soon recognized Muhlenberg’s talents and abilities and used their connections to gain his entrance to the University of Göttingen. He studied theology and with two other men founded a charity school that eventually developed into an orphanage. From there he went to the Halle Institutions, the center of the pietistic movement in what is now Germany, to complete his studies in languages and music. After ordination in the Lutheran Church in 1739, Muhlenberg taught at an orphanage and also served as assistant minister at a church near the estate of Count Nikolaus von Zinzendorf, a Lutheran minister and a leader in the pietistic movement who held certain Moravian beliefs. At that time most of the Lutheran churches in Pennsylvania had been founded by lay ministers. Three congregations that had no church building or pastor appealed to officials at Halle to send them pastors who had a formal education. One of Muhlenberg’s former instructors, the son Halle’s founder, persuaded him to answer this call, and in 1742 he sailed for America. His voyage was a stormy one, and when he arrived he was quickly drawn into upheavals of a different kind. He discovered that the Philadelphia congregation that he was to lead had split. Some members followed Zinzendorf, who had recently arrived in America and was winning many converts to the Moravian Church. Some members had joined Muhlenberg’s other congregation at Providence, now led by Valentine Kraft, a minister who had been relieved of his church offices in Germany. Meanwhile, Muhlenberg’s third congregation had fallen under the leadership of a man known simply as Schmed, who turned out to be an alcoholic and an imposter. Muhlenberg held impeccable credentials, however. He had been licensed as the official Lutheran missionary to America not only by Halle, but also by the King of England, who ruled Hanover. After presenting his credentials to the two congregations under Kraft and Schmed, he ousted them and took over leadership. Zinzendorf, however, presented a greater obstacle since he was not only an ordained Lutheran minister, but also a highly respected man of standing in society and the church. Muhlenberg adamantly opposed Zinzendorf’s goal of uniting all Christian denominations under the Moravian standard. And ultimately Zinzendorf was also forced to defer to Muhlenberg’s authority. 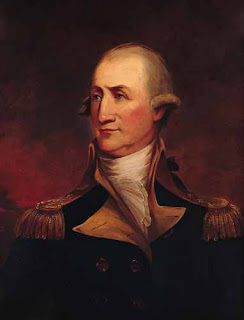 Muhlenberg was married in 1745 to Anna Maria Weiser, the daughter of colonial leader Conrad Weiser, the commissioner of Indians affairs for Pennsylvania. 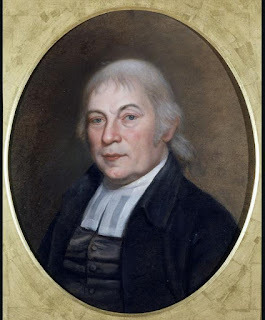 In 1748 he convened the Lutheran Ministerium of Pennsylvania in Philadelphia, composed of six Swedish and German pastors and twenty-four lay delegates. Under his guidance they organized a synod and prepared a book of common prayer that was used into the nineteenth century. He also worked on a hymnal published in 1786. Muhlenberg’s motto was Ecclesia Plantanda (let the church be planted). During his 45-year ministry he traveled from New York to Georgia, almost single-handedly establishing new churches and bringing together existing ones to build an American Lutheran church that served the German immigrants flooding into America in the second half of the eighteenth century. He brought in and trained new ministers from the colonies as well as recruiting ministers from Europe. He settled disputes with enormous tact, firmness, and spiritual power. He ministered not only to the German settlers he was assigned to, but also to colonists from the Netherlands and Britain, preaching in German, English, Dutch, and Latin as needed and adapting his preaching to appeal to his audiences. Poor health eventually forced Muhlenberg to retire. He died at his home in Trappe, Pennsylvania on October 7, 1787. That same year the Lutheran and German Reformed Churches together founded Franklin College, with his son Henry Ernest as president. Muhlenberg was buried behind Augustus Lutheran Church in Trappe, Pennsylvania, where he served for many years, and where Anna Maria and their son Peter were later interred next to him. Muhlenberg’s influence extended into the following generations. His and Anna Maria’s eleven children all lived to adulthood and many held important military, political, academic, and church positions. Their oldest son Peter, became a pastor, a major general in the Continental Army during the American Revolution, and a U.S. Congressman. His bio will be the subject of my November post. Another son, Frederick, was also elected to Congress and served as the first Speaker of the House. Henry, Jr. pastored the Zion Lutheran Church at Oldwick, New Jersey. Gotthilf Heinrich Ernst, a scientist, became the first president of Franklin College, now Franklin and Marshall. The Muhlenbergs’ daughter Elisabeth married a future general in the army, Francis Swaine. Maria Salome married Matthias Richards, who was later elected to Congress. Eve married Emmanuel Shulze, and their son John Andrew became the governor of Pennsylvania. Although I greatly admire major historical figures like Muhlenberg, it occurs to me that these men were very often absent from the home while pursuing important responsibilities. Do you ever wonder about the influence their mothers and wives had on their children—and on them—influence that historians generally neglect to mention? I do, and I’m wondering what you think about this subject. John and Charles Wesley acknowledged the great influence their mother, Susannah, had on their lives and faith. Are there other mothers and wives of famous men or women, whether mentioned in the history books or not, that you think must have exercised great influence in the lives of their husbands and children? Please share your thoughts! J. M. Hochstetler is the daughter of Mennonite farmers and a lifelong student of history. She is also an author, editor, and publisher. Her American Patriot Series is the only comprehensive historical fiction series on the American Revolution. Northkill, Book 1 of the Northkill Amish Series coauthored with Bob Hostetler, won Foreword Magazine’s 2014 INDYFAB Book of the Year Bronze Award for historical fiction. Book 2, The Return, releases April 1, 2017. One Holy Night, a contemporary retelling of the Christmas story, was the Christian Small Publishers 2009 Book of the Year. You're right, Marilyn! The wives of great men have heavy burdens on their shoulders that are rarely recognized by historians. In this case, Anna Maria must have been an exemplary mother since their children all grew up to be outstanding people. Lincoln's and Eisenhouer's mothers are excellent choices for influential mothers! Interesting post, Joan! When i read the bio of Dietrich Bonhoeffer it told about the influence his mother had on him spiritually. She died when he was pretty and he left those teachings. As we all know, he did eventually come back to those teachings and influence he had from his mother. Now, he's a man that admire deeply! I've also read a bio on Susannah Wesley and her influence on all her children. Looking forward to next post to learn about Peter. Bev, Bonhoeffer's and Wesley's mothers are terrific examples! Judging from Peter Muhlenberg and his brothers and sisters, not only was their mother a great influence, but their father backed her up by providing a very strong role model as well. Thanks for dropping by and commenting!